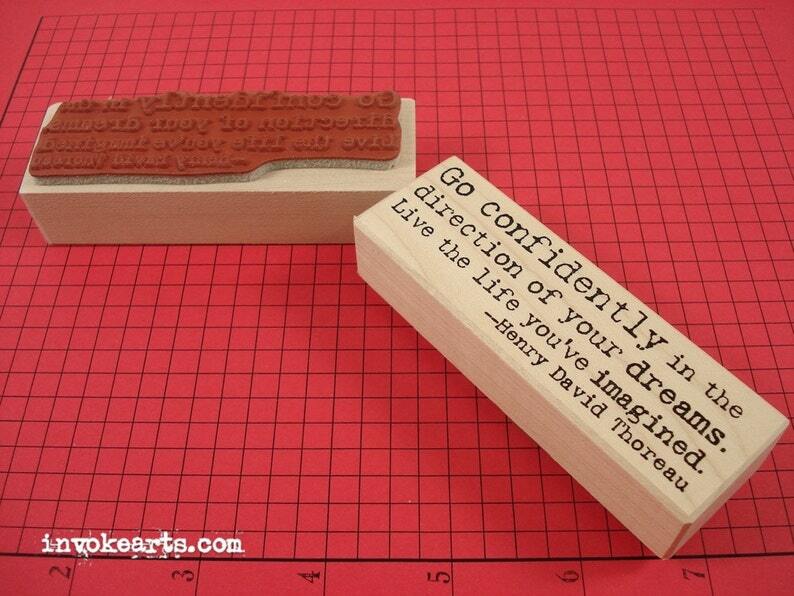 Wood Block Measures 1 1/4" x 3 3/4"
When stamped this quote would be a nice message in Cards, Journals, Mixed Media and Collage pieces or to use on a Scrapbook Page. Shipping upgrade: Priority mail is $6.95 for as many stamps as you would like. Arrived with plenty of time for the holidays! Exactly as expected! Looking forward to giving this as a gift. Thank you! I like everything received in this order.